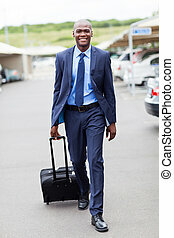 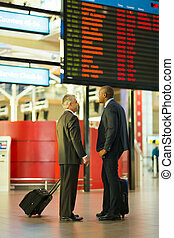 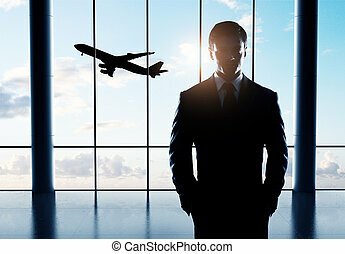 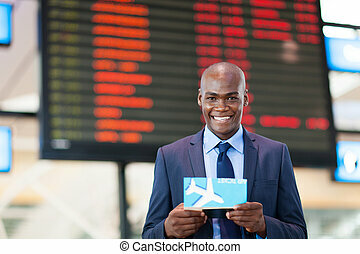 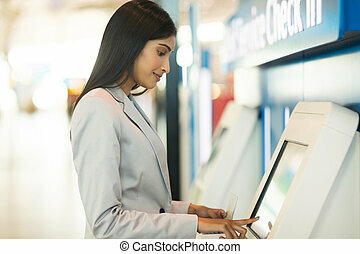 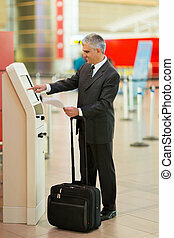 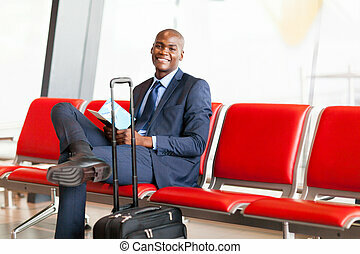 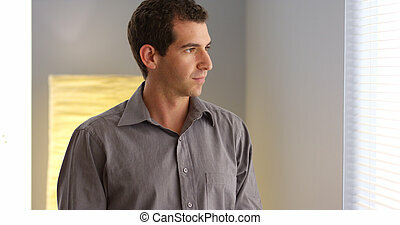 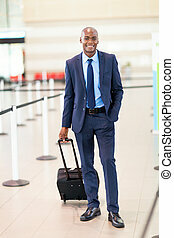 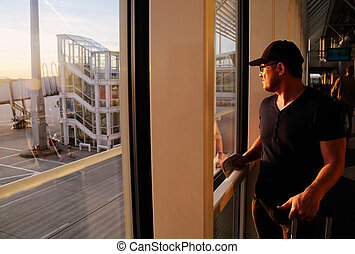 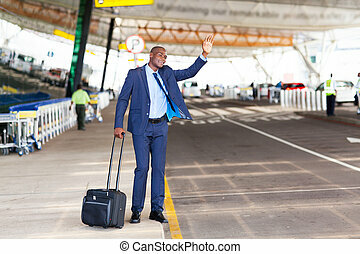 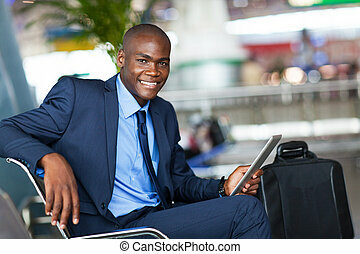 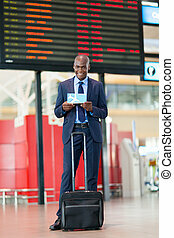 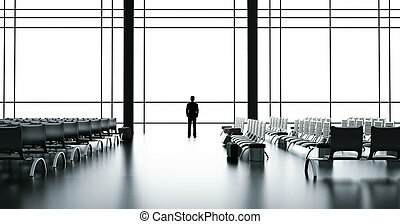 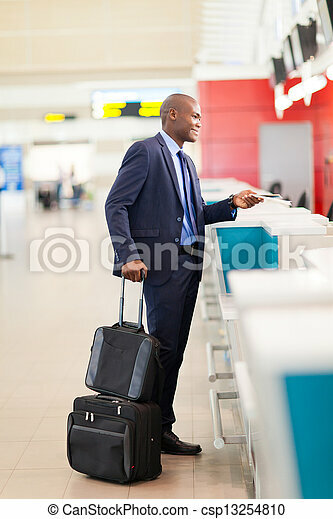 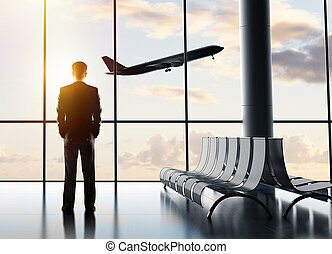 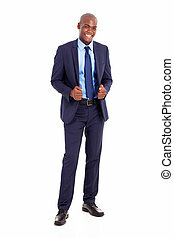 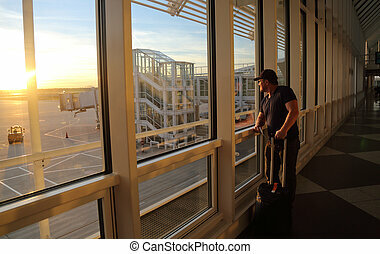 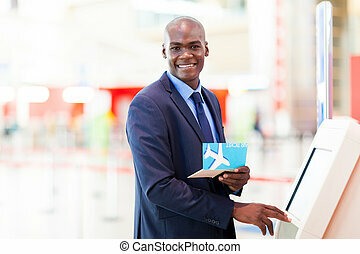 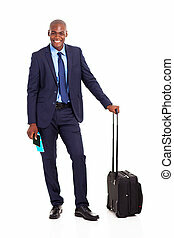 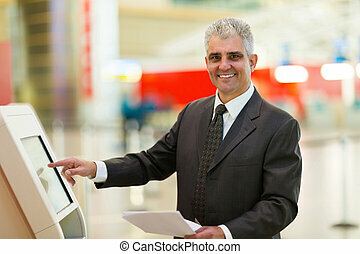 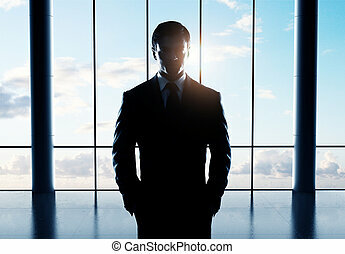 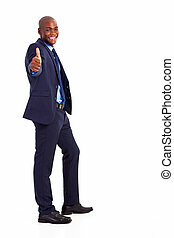 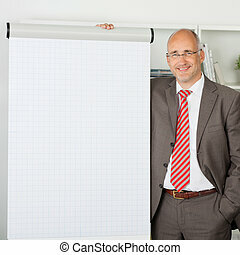 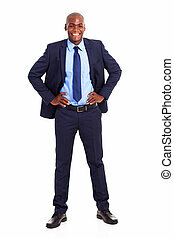 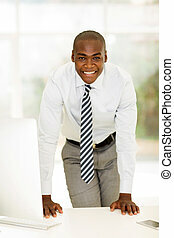 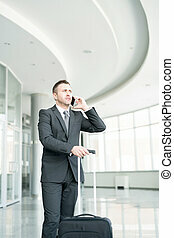 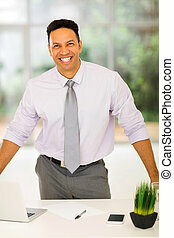 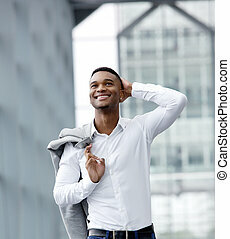 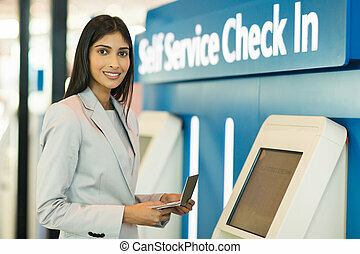 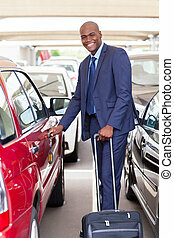 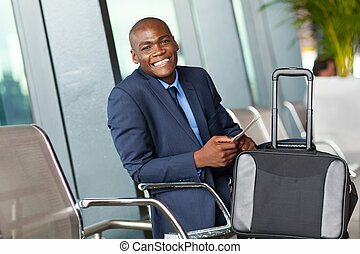 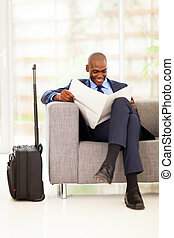 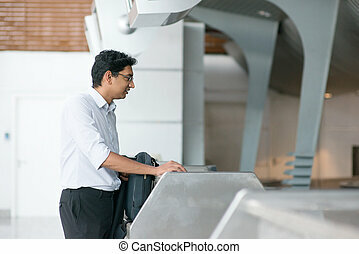 African businessman standing by airport check in counter. 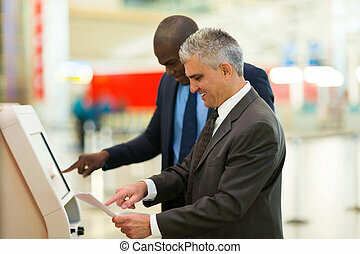 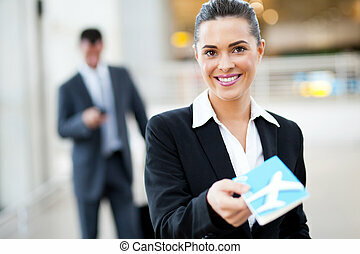 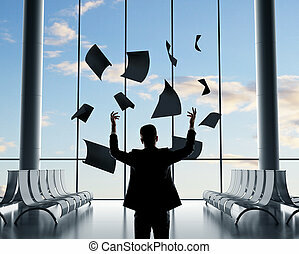 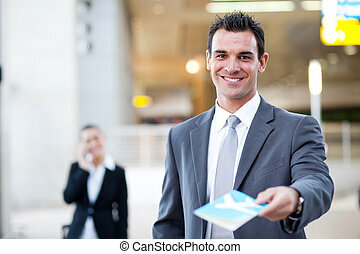 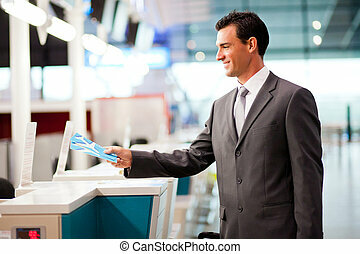 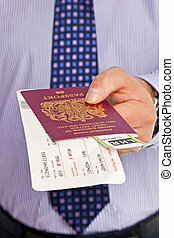 Close-up of a businessman handing over his boarding pass and passport at airport check-in. 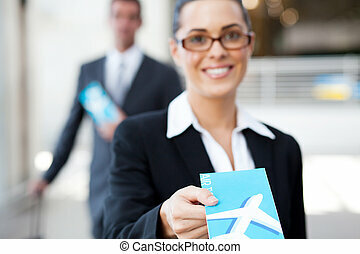 The tickets are mock ups and all details and names are generic.